Tanya Huff has written about werewolves before, in her urban fantasy Blood Trail (1992). 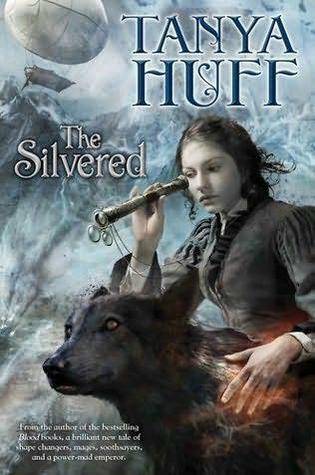 However, she masterfully reworks the concept in The Silvered, creating a complex social structure which combines werewolves and mages. Their country and their culture are under siege by an ever-expanding, Napoleon-esque Empire which regards the Pack as abomination. Bigotry, xenophobia, and racism complicate novice mage Mirian Maylin’s efforts to save the Mage-Pack after five members are kidnapped by the Emperor. The daughter of a banker and a social climber, she has little experience with magecraft or Pack politics, but feels compelled to act. Her only helper is Tomas Hagen, the young, impulsive brother of the Pack leader.